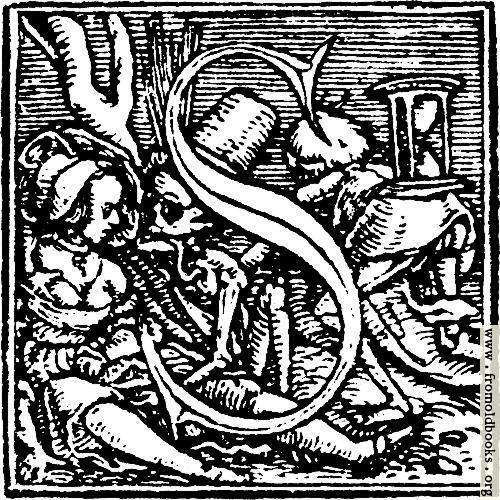 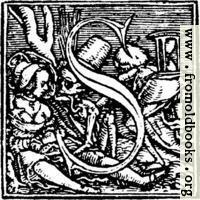 62s.—Initial capital letter “S” from Dance of Death Alphabet. 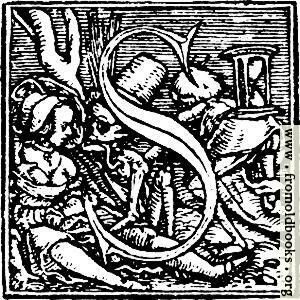 This decorative initial letter “S”, or drop cap, is from an alphabet designed by Hans Holbein and dating from 1523. The skeleton figures in the alphabet represent death. 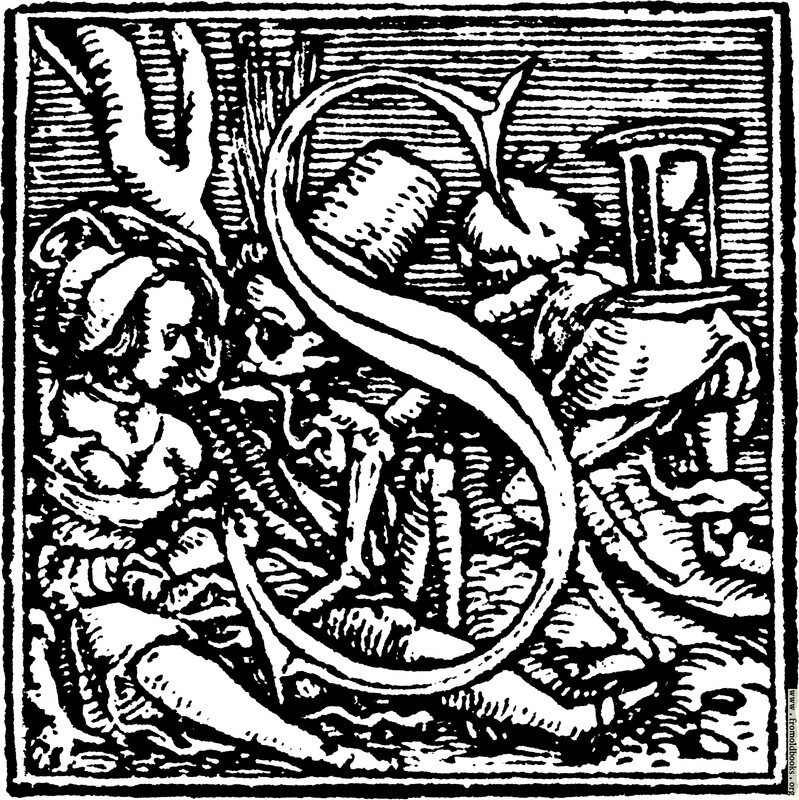 This letter, S, has two skeletons, or Deaths, one of whom is touching and kissing a large-breasted woman while the other runs off with an hour-glass on its back.